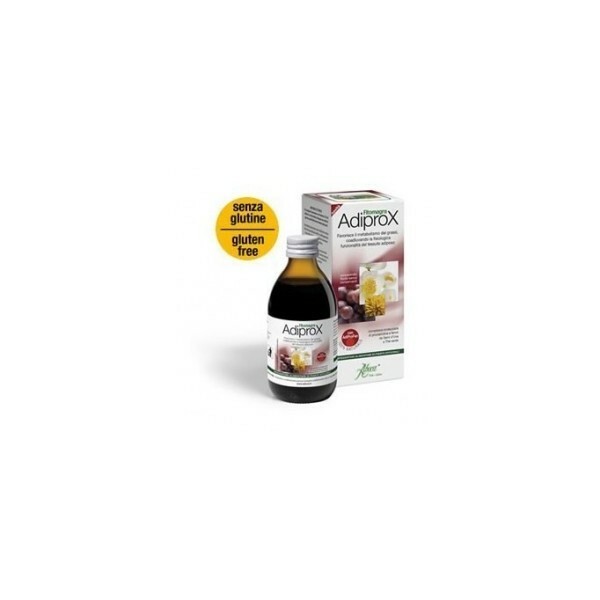 Aboca Adelgacción Adiprox helps control weight low calorie diets, promoting metabolism of fats contributing the physiological function of adipose tissue. 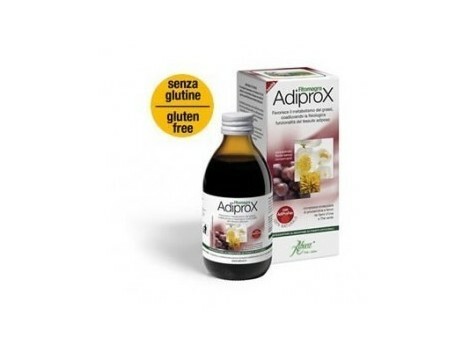 INDICATIONS: Aboca Adelgacción Adiprox promotes fat metabolism, helping the physiological function of adipose tissue. INSTRUCTIONS: are advised to take a dose (15 ml) diluted in a glass of water once a day, preferably away from meals. The product can also be diluted in a pint of water to drink throughout the day. Once opened, it is advisable to keep the product in the refrigerator and consume within 30 days. Ingredients: apple juice concentrate; Elderberry (Sambucus nigra) fruit juice concentrate; Lemon juice concentrate; Coextracto lyophilized (AdiProFen) Green tea (Camellia sinensis) leaves and grapes (Vitis vinifera) seed; Dandelion (Taraxacum officinale) root lyophilized extract; Lemon-lime natural aroma.